There’s not much you can do with limited space, right? Wrong! All you need is some serious imagination, innovation, and the tools to make it happen. 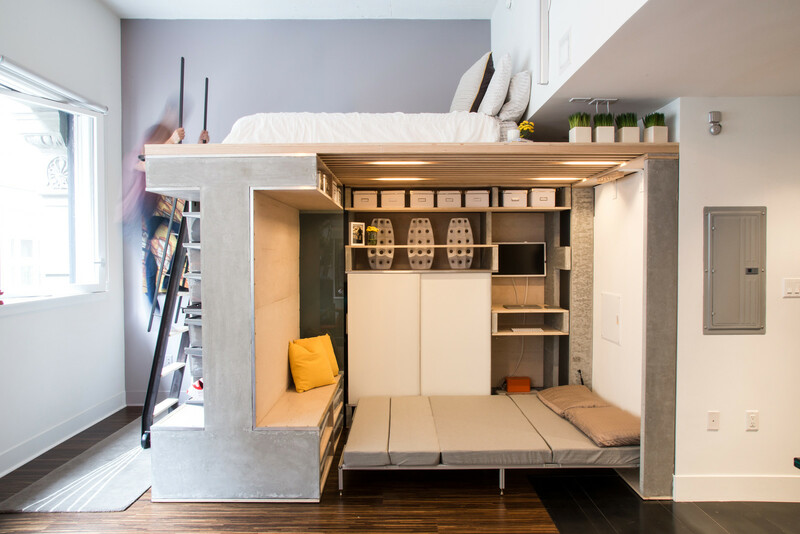 This small condo proves as much, and even has room to spare. 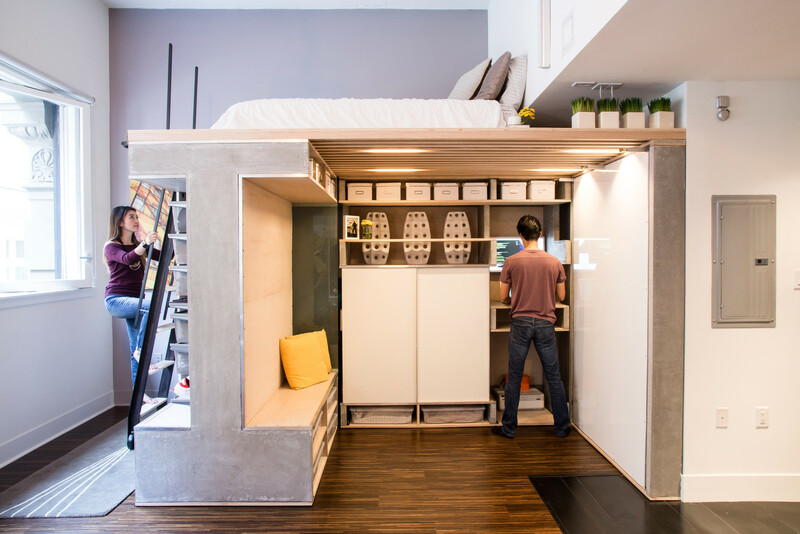 Located in the heart of San Francisco, California, this tiny apartment had everything the home owners needed…except space. 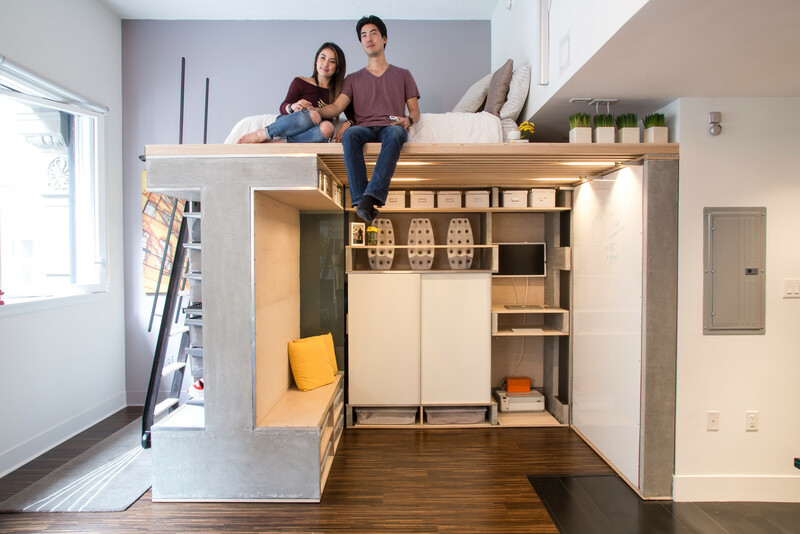 Designers at ICOSA in collaboration with Peter Suen set out to solve this issue and create a fully functional space that offered tons of room for the couple to work, sleep, and store their lives. 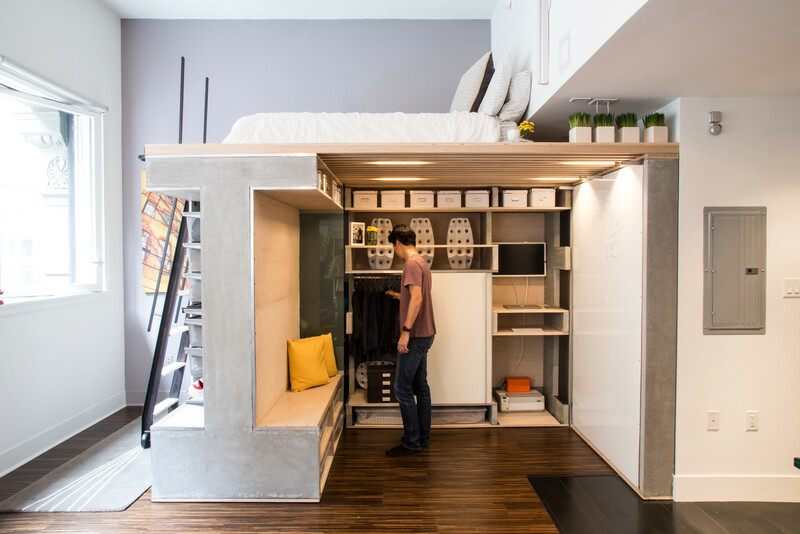 The super tiny area of this multi-functional loft is filled with a custom built unit that encompasses a variety of major functions. In a traditional loft style, the large bed lays on top, raised above everything else. 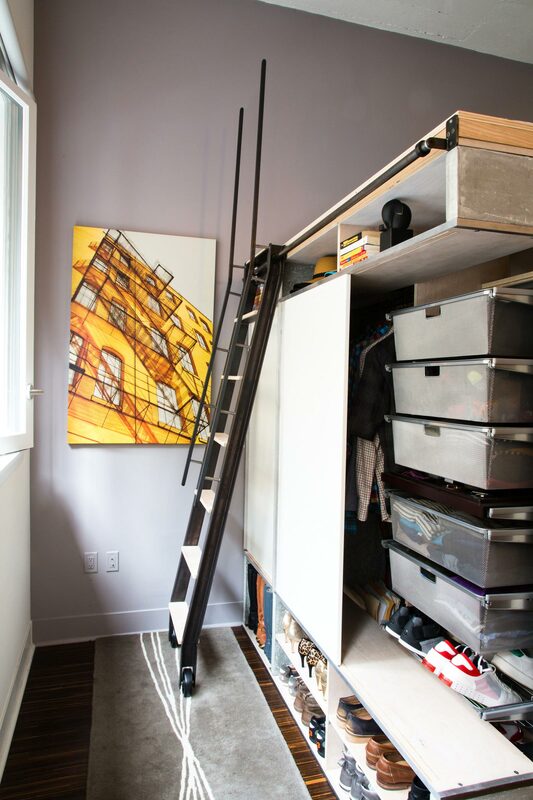 A simple rolling ladder attaches to the side to allow ease of access, but also so it can be moved to reach the storage behind it. 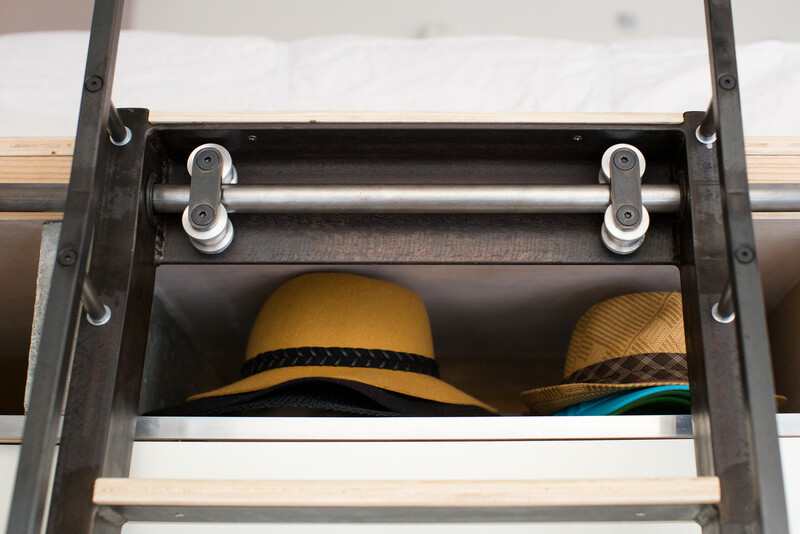 Bookshelves, closet doors, and even storage for hats and shoes are cleverly built-in and take up almost no space at all. Underneath the space saving design of the loft bedroom, we find a spacious office work area complete with a massive white board, roomy desk, and stand-up computer station. 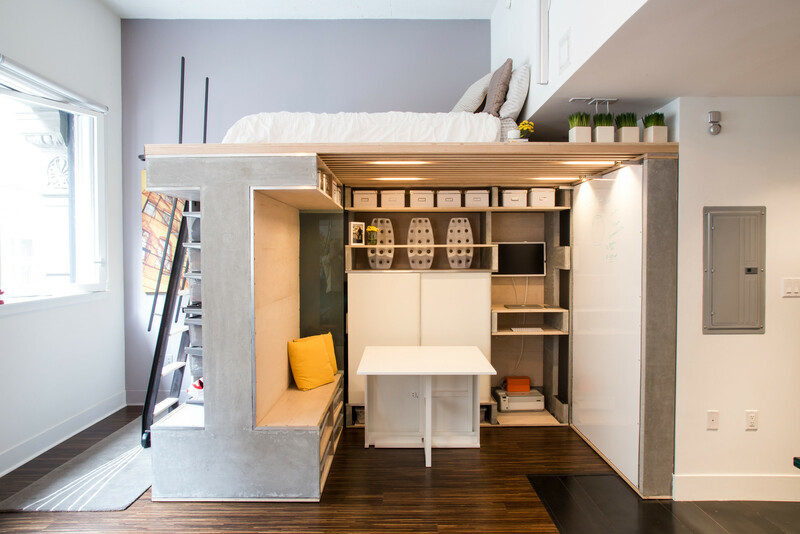 Storage closets line the wall in the background, but the entire space can be converted into a dining room or an extra bedroom by folding down the whiteboard to reveal a Murphy Bed. 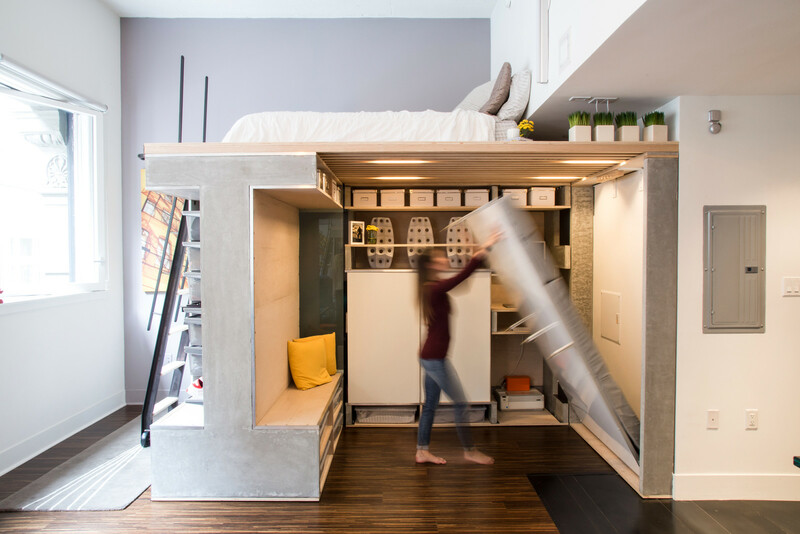 Materials like solid concrete forms, natural wood beams, and melamine facings were used to construct this innovative, multi-functional loft.